IF this one doesn’t set your pulse racing then it’s probably time to seek medical advice, but don’t be surprised if your GP is in the back of a bus headed for Croke Park when you make the call. He’ll be away early because this afternoon’s quarter-final derby is a game nobody wants to miss. It rekindles memories of the days of yore when ‘God’, ‘Geezer’, ‘Mugsy’, Dooher, ‘Ricey’, Oisin and the rest traded shoulders and scores to decide Ulster and All-Ireland titles. Armagh won one of the four Croke Park derbies between 2003 and 2005 and, with one drawn, they’d dearly love to equal Tyrone’s tally of two today. But there are bigger prizes up for grabs than settling parochial scores. Beating their neighbours would prime Armagh for an Ulster title push next year and allow them to cast off their unwanted nearly-men tag once and for all. Biggest of all is the chance to advance to an All-Ireland semi-final and what odds would you have got on that nine weeks ago when Armagh lost to Down in Newry? Charlie Vernon seemed to be in a daze as he left the field that day, but the Armagh Harps defender has been at the forefront of the Orchard resurgence since and he’ll relish the chance to take on his brother-in-law Sean Cavanagh this afternoon. His manager Kieran McGeeney copped a lot of stick after that Newry loss but he has conjured life out of an underperforming team that has improved with every Qualifier win. Scratchy against Fermanagh and Westmeath and in the first half against Tipperary, they have found form, belief and a die-hard attitude that had been lost for a decade. And so Armagh will take the field at Croke Park brimming with confidence, playing with style and fluency and certain they will trouble Tyrone. Red Hand boss Mickey Harte was watching from the Croke Park stands last Saturday when the Orchardmen out-gunned Kildare. He’d been in Newry too, so he knows exactly how much Armagh have improved. “I think it’s a wonderful climb they have been on,” said the Tyrone manager earlier this week. “They are growing with the Qualifiers, as we well know. We went out in 2008 in the first round of the Ulster Championship and we grew in confidence and momentum as the games kept coming. While Armagh’s form has improved dramatically, Harte’s Tyrone have been in the groove since the start of the Championship season. They now have back-to-back Ulster titles under their belts but need to win today to prove they have the minerals to challenge for the Sam Maguire many see in them. Bitter experience will drive them on because at this stage last year the Red Hands fluffed their lines against Mayo and limped off Croke Park having failed to win a game that was there for taking. 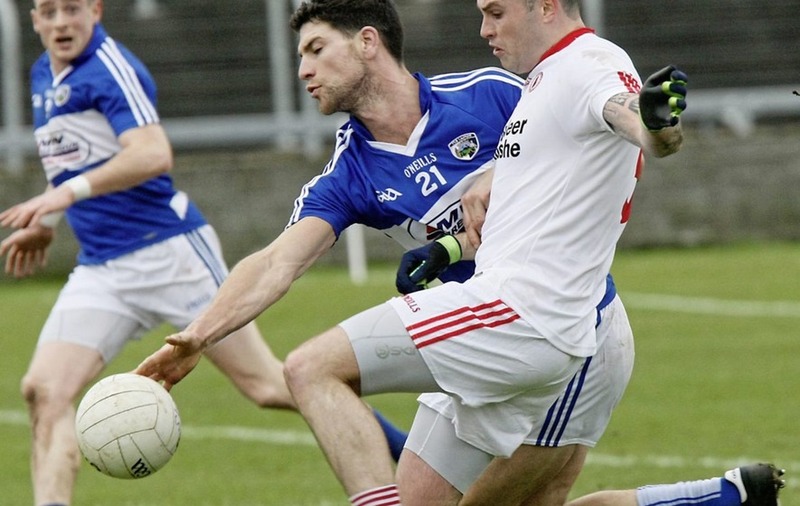 If you want to quibble, you could say Tyrone haven’t been tested yet this season. Some argue that they don’t have quality forwards and lack a consistent free-taker, but the stats suggest otherwise. To get this far they have come through three Ulster derbies away from home with flying colours. First Derry were swatted away at Celtic Park, then much-vaunted Donegal were run ragged in Clones and, though surprise packets Down hung in the Anglo-Celt decider, the Ulster final was decided well before the end. Tyrone kicked points from all over the field – there were 11 scorers against Derry and Down and a dozen in the rout of Donegal. So far 17 players have scored with five – Peter Harte, Tiernan McCann, Mark Bradley, Sean Cavanagh and David Mulgrew – on target in all three games. Meanwhile, Armagh have had 18 scorers in five games and the fact that no-one has managed to raise a flag in every outing so far, indicates that they are not the one-trick ponies some might have you believe. Ten players got on the scoresheet against Kildare. Niall Grimley has been superb from frees, his midfield partner Steven Sheridan has chipped in regularly too as have Aidan Forker and Rory Grugan. In the full-forward line, Jamie Clarke has attracted the headlines, but Ballymacnab’s Gavin McParland has proved his class with eight points in the last three outings. Tyrone will match-up experienced defenders Cathal McCarron, Ronan McNamee and Aidan McCrory against them and, with Colm Cavanagh, Tiarnan McCann, Padraig Hampsey, Peter Harte and the rest slotting to provide cover, space will be at a premium. Of course the same is true for the Tyrone forwards. Vernon and sweeper Brendan Donaghy have marshalled an Orchard defence that includes tigerish man-markers James Morgan and Paul Hughes and if you think Armagh go into this game thinking about ‘bonus territory’ then think again. On the flip side, if you think Tyrone will fall into the ‘Division Three against Division One’ scenario that’s doing the rounds between the counties, you can forget that too. Kildare struggled to get to grips with the feverish mentality Armagh brought last Saturday, but the Red Hands won’t make that mistake today. The Orchardmen are superbly fit, but fatigue could be a factor after their efforts last Saturday and Tyrone’s running game will test their legs from the throw-in to the final whistle. Kildare tested them too of course but Armagh were able to exploit the space the Lilywhites left in their own half and cut them to pieces with their attacking flair. 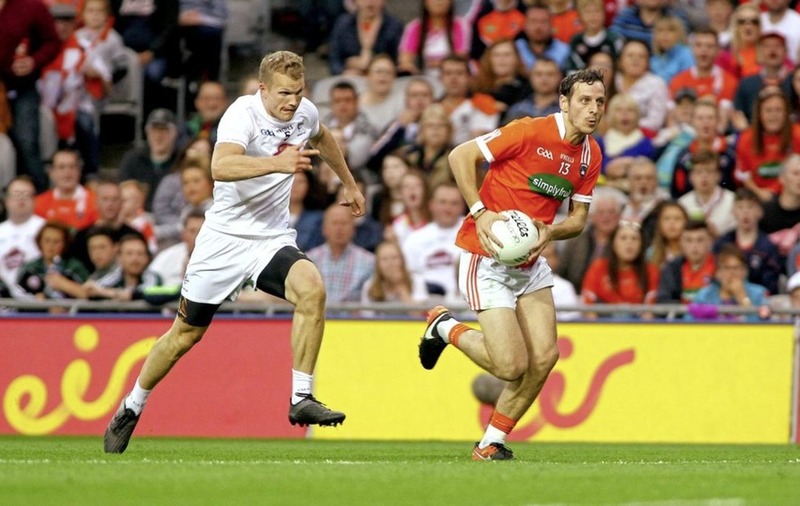 Tyrone will not allow them that space so the key to this game is how the Armagh forwards unlock the Red Hand defence. The Ulster champions have developed their system meticulously since 2015 and Armagh will struggle to break them down and post a match-winning total against them. At the other end, with their range of scoring options, the Red Hands have the firepower to hurt Armagh and if they get their noses in front a lead the Orchardmen will struggle to reel them in. Expect an intense battle with nothing in it up to half-time but Tyrone will pull away in the second half to win.